Is a fact that retailers and consumers of snow peas and sugar snaps are becoming more an more aware of food safety, environmental and social issues. These need to be addressed in agricultural production as the world market is increasingly demanding the compliance of public and private standards. GLOBA LGAP has become one of the most recognized international standards, and is required as a minimum market-entry requirement by a considerable number of biggest retailers. 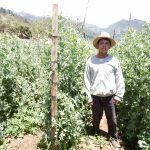 In this global trend, smallholders who are not certified, are often marginalized and left out of the supply chain. 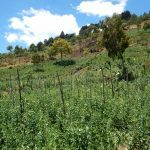 However, this trend can also present a chance for smallholders to participate in the global market on the equal ground at the same time. 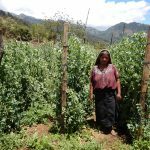 Smallholders, when organized and certified as a group, can be recognized by international retailers as a certified supplier and can become exporters of snow peas or sugar snaps from Guatemala and offer their produce to the global market. In order for smallholder groups to be certified according to GLOBALGAP, each group has to establish its own Quality Management System (QMS) to manage its production. QMS is one of the crucial requirements for GLOBALGAP group certification, yet is a very difficult theme for smallholders to handle. 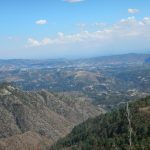 Therefore, ElbeFruit is supporting two smallholder groups in Huehuetenango, Guatemala where snow peas and sugar snap peas are produced above the clouds at 1,800 meters above sea level to help them implement their their own QMS to manage their production and get GLOBALGAP certified.